The Cowes- Dinard – St Malo race is one of the oldest events in the RORC racing calendar and in St Malo also boasts one of the most tempting race destinations in the English Channel. 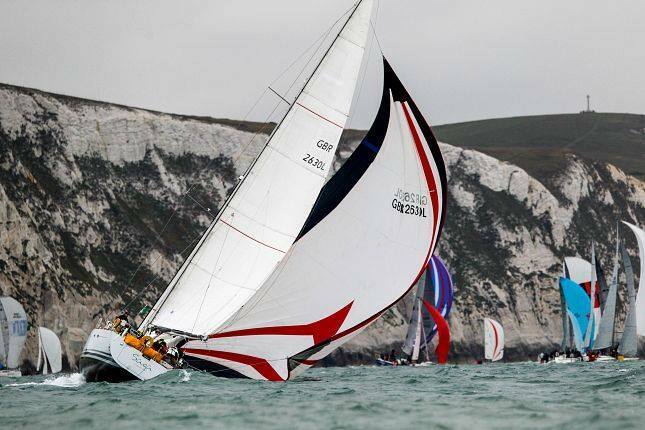 The race offers a very interesting and varied course, as once competitors have headed west out of the Solent, that have the wonderful natural race markers of the Channel Islands to negotiate as they blast along towards the Breton Coast. Expect thrilling night sailing and strong competition, particularly in a Fastnet year, as this event is one of the qualifiers for the latter event and the 175 nautical mile long course can often be just as challenging. The race concludes in the stunning walled town of St Malo and this ensures that tired racers have a real treat in store for them after the rigours of such a competitive race. This pretty town is famous for its oyster restaurants and fine dining. Fortunately there is ample opportunity post race to wander its cobbled streets and soak up the ambience before settling down to a bottle of Chablis and a platter of the areas famous oysters. The best news is that the arrival of the fleet coincides with Bastille Day, so you also get to witness a full on cultural phenomenon. The other beauty of this race is that, with all of the serious action done and dusted, there is a great opportunity for a more gentle cruise back to the familiar waters of the Solent, making this race a great way to combine some really challenging racing with a bit of sightseeing and some chilled out cruising in a beautiful cruising ground.